Yesterday I had a chance to walk along Lake Ripley in Litchfield with a couple of friends. Across the road on the north side of the lake is Ripley Cemetery. There was quite a mix of gravestones in terms of age, material, and style, which made for some good lichen observing. I think these orange lichens are Elegant Sunburst Lichens, Xanthoria elegans. 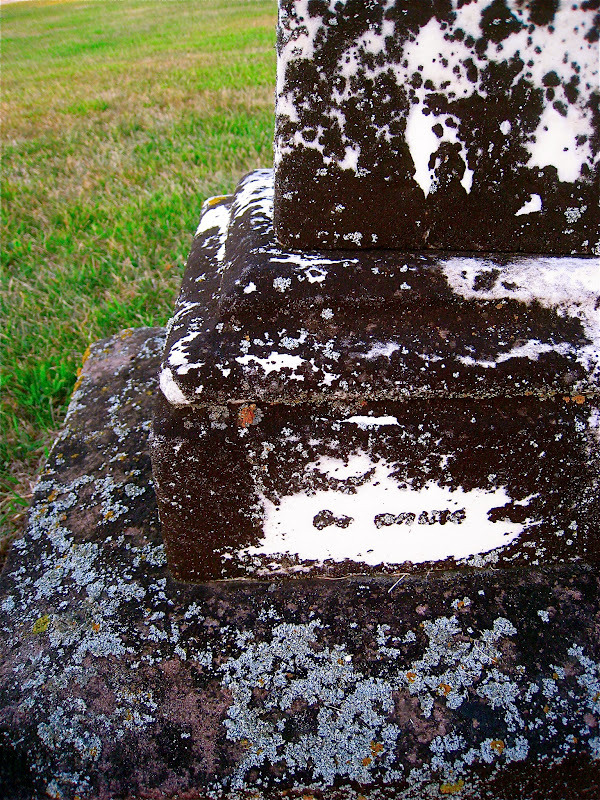 I'm really not sure what the black stuff is; it's not that uncommon to find on gravestones. I'm not even sure if it's a lichen. I suppose it could be algae or fungus. Or it could be the dried up or dead remains of any of the three. 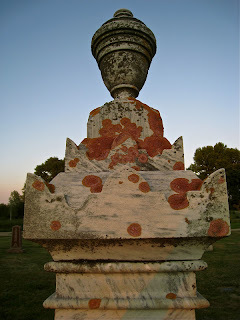 I think the orange dots are Sidewalk Firedot Lichens, Caloplaca feracissima. 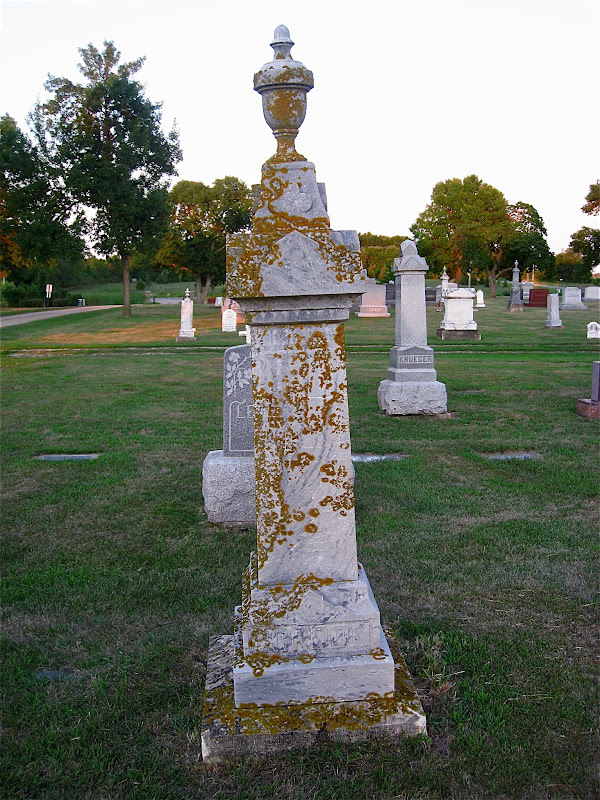 I think the big crustose lichen in the middle is Golden Moonglow Lichen, Dimelaena oreina. It's color is more of sea green, that I can never capture adequately with a digital camera. 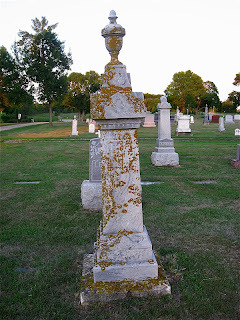 I love the colors, textures and patterns of the lichens on the the more uniform and ordered gravestone surfaces. And we were there at sunset, and the graveyard is oriented so that the setting sun illuminated the face of most of the gravestones.